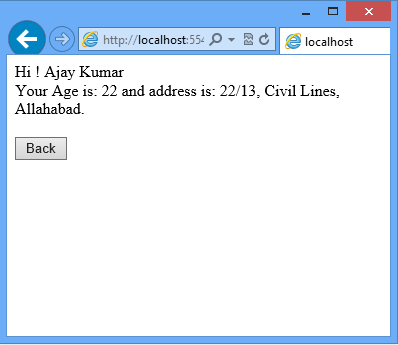 In this article, I’m explaining the concept of session in asp.net. As we all know that, HTTP by nature is stateless protocol. It cannot hold client information on a page. If the user inserts some information and move to the next page, that data will be lost and the user would not be able to retrieve that information. 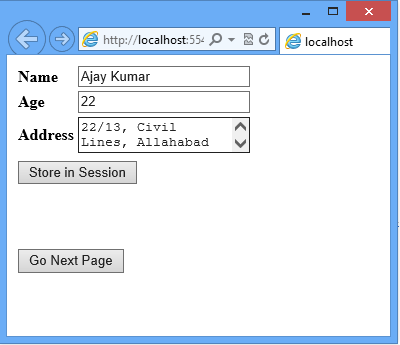 Session allows information to be stored in one page and access in another page and support any type of object. For every client, session data is stored separately, that means session data is stored on a per client basis. 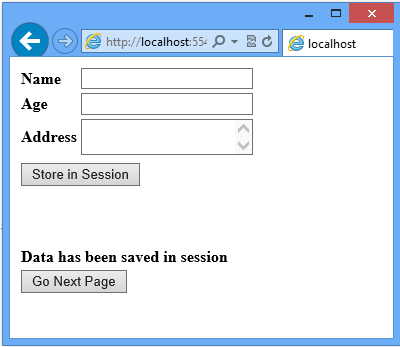 · Accessing of data is very fast as it stores session data in memory object of the current application domain. · It helps maintain user state and data all over the application. · It stores client’s data separately. · It is easy to implement and we can store any kind of object. 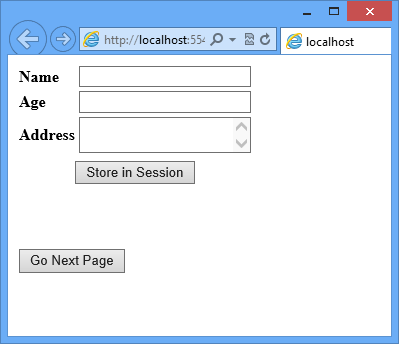 · Session is secure and transparent from the user. · As the session state data is stored in server memory, it is not advisable to use session when you are working with large sum of data. · Session.Remove ("SessionName") - Removes the item that stored under the name "SelectedName". Write the code on webForm1.aspx.cs. Your Age is: <asp:Label ID="lblAge" runat="server" Text=""></asp:Label> and address is: <asp:LabelID="lblAddress" runat="server" Text=""></asp:Label>. Write the code on webForm2.aspx.cs.